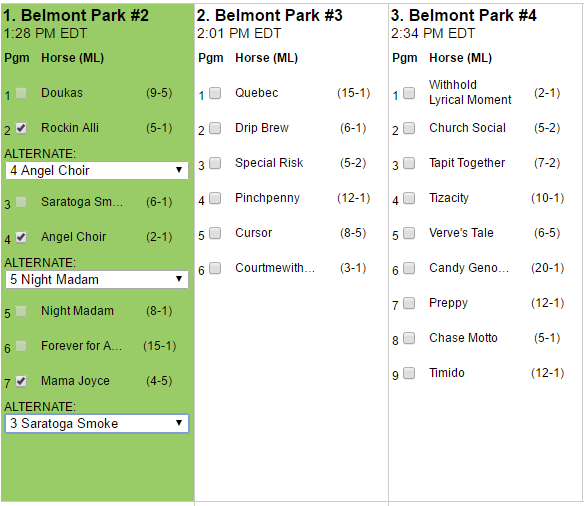 Making selections in EXACTA BOX tourneys just got a whole lot quicker and easier. Make sure to SAVE your selections through the Save button on the bottom right of the Speed Picks interface. Note that these two functions are available only in the Desktop (Full Site) version of HorseTourneys and are not included in the mobile version. Email us with any questions on utilizing these new features. Good luck!